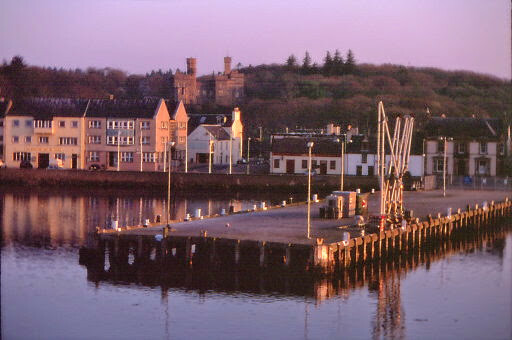 Stornoway is also the administrative capital and home to the Comhairle nan Eilean (The Western Isles Council), which has done much to broaden the local economy and to promote and protect Gaelic language and culture, but is probably best known for its disastrous financial dealings with the Bank of Credit and Commerce International (BCCI), which collapsed in 1991, losing the islands a cool £23 million. The pubs and hotels serve the usual range of bar meals. Probably the best restaurant in town is at the Park Guest House, which offers top-class modern Scottish cooking using local fish, lamb and venison. It also caters for vegetarians and is open Tue-Sat. Mid-range to expensive. Also recommended is The Boatshed, in the Royal Hotel , which specializes in seafood. Expensive. Less upmarket and cheaper is their HS-1 Cafe bar. 24 South Beach T:01851 706116. (review) Family-run restaurant that’s been in Stornoway for decades. The curries are the real thing and the service is great, but the real boon is that it is open on Sunday. Best value are the set menus: lunch £10, dinner £16. Daily noon - 2pm & 5 - 11.30pm. 27 Church St T: 01851 701811, website: thai-cafe-stornoway.co.uk (not working). Despite the name, this is actually a restaurant, serving authentic Thai food. The lunchtime Pad Thai is good value at £5, while evening mains like the spicy Jungle Curry - stir-fried beef and peppers in a spicy cocount gravy – cost around £9. No licence, so BYOB (£1 corkage). Mon–Sat noon - 2.30pm & 5 - 11pm. for soup and bread, or for more substantial eating, they do burgers, fish and chips and pastas from £10. Food served Mon–Sat 10am–8pm. 5 Bank St, T: 01851 700026, website: digbychick.co.uk. Smart, modern, buzzy little bistro with a real emphasis on using local produce, such as the famous Stornoway black pudding. There are some interesting options on offer here like their Indian-French fusion of salmon with curried bisque, tandoori onions and coconut bonbons, or ordinary battered fish 'n' chips if curry’s not your thing. Two-course lunch menu costs £14.50. Mon–Sat noon–2pm & 5.30–9pm. The Golden Ocean Restaurant (facebook page), on Cromwell St. There are several other takeaways offering the standard fare of pizza, kebabs, fish and chips etc. The cheapest option is the all-day breakfast served in the Co-op supermarket. For a cheap lunch try the cafeteria in the Deep Sea Fishermen's Mission on North Beach. down, try nearby MacNeill’s. Mon–Thurs 11am–11pm, Fri & Sat 11am–1am. There are 2 large supermarkets in town. Safeway is beside the ferry terminal and the Co-op is by the first roundabout on the road out to Barabhas. There's also a smaller supermarket opposite the tourist information centre. thet pubs are closed on Sun and hotels cater only for residents. 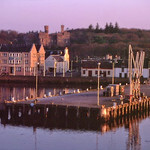 Stornoway is the island's transport hub. The airport is 4 miles east of the town centre, a £5 taxi ride away. For details of flights to the other islands and the mainland. The CalMac ferry terminal is just beyond the bus station, which is on South Beach, a short walk from the town centre. Full ferry details are also given in Ins and outs. Buses leave from Stornoway to all parts of the island and also to Tarbert and Leverburgh on Harris. Bus timetables are available from the tourist office. Buses leave from Stornoway to all parts of the island. Note that buses do not run on Sun. 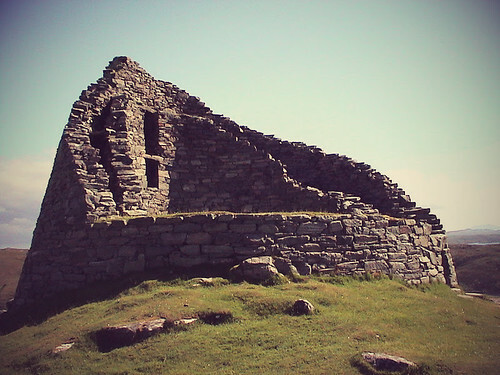 To Port Niss (Ness) via Barabhas (Barvas) 4-6 times per day; to Arnol, Siabost (Shawbost), Càrlabhagh (Carloway), Calanais (Callanish), and back to Stornoway ('West Side Circular') 4-6 times per day; to Bearnaraigh (Great Bernera) via Gearraidh na h-Aibhne (Garynahine) 4 per day; to Uig District 3-4 per day; to Ranais (Ranish) 6-8 times per day. For full details, Tel. 840269. 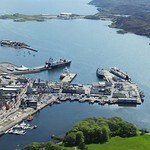 There are also buses from Stornoway to Tarbert and on to Leverburgh (for the ferry to North Uist) 4-5 times per day (Tel. 01859-502441). This is available at good rates from Lewis Car Rentals, 52 Bayhead St, Tel. 703760, Fax. 705860. Also Arnol Motors, in Arnol, Tel. 01851-710548 (Tel. 0831-823318 mobile), Fax. 710248. You can rent bikes at Alex Dan's Cycle Centre, 67 Kenneth St, Tel. 704025, Fax. 701712. 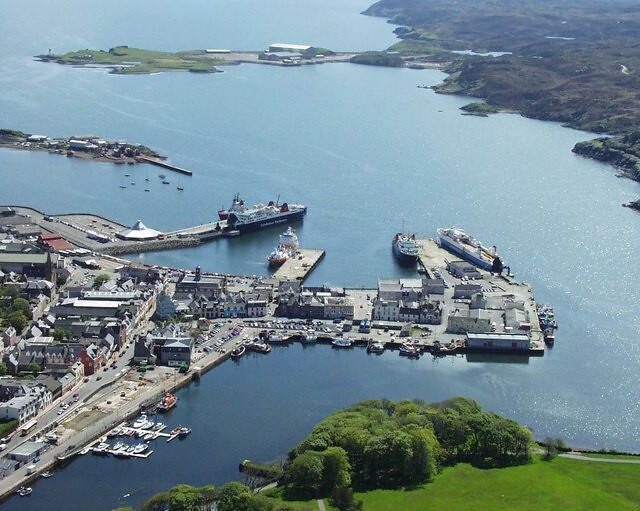 Stornoway is short on conventional tourist sights and once you've been to the tourist office and bought the necessities from the local supermarkets, there's not much else to do. The focal point of the town has always been its sheltered deep-water harbour and, though the fishing industry has declined since its peak at the end of the last century, there's still a fair amount of activity, especially at the fish market on North Beach on Tuesday and Thursday evenings. The harbour is usually full of seals, giving the town its nickname of Portrona (port of seals). There's a good view across the harbour to Lews Castle, a 19th-century edifice built by Sir James Matheson with money earned from opium and tea. The castle now houses a college and its real attraction is the wooded grounds, the only place you'll see trees on the islands. The Museum nan Eilean, on Francis Street, features a range of temporary exhibitions on island life and history. Info Apr to Sep Mon-Sat 1000-1730; Oct-Mar Tue 1000-1700 and Sat 1000-1300 . Free. Tel. 703773. Anyone remotely interested in Harris Tweed should visit the Lewis Loom Centre, housed in the Old Grainstore at the northern end of Cromwell Street, just off Bayhead. The 40-minute guided tour includes demonstrations of traditional methods of warping, dyeing and spinning, and a detailed lecture on the history of Harris Tweed. There's also a craft shop. Info Mon-Sat 1000-1700. Adult £2.Tel. 703117. 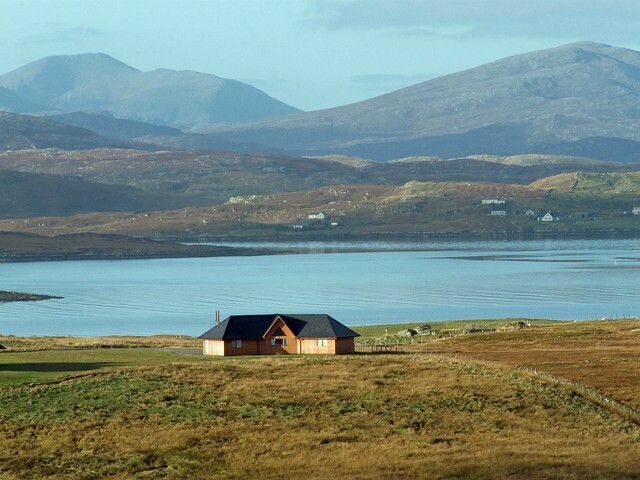 As the largest settlement on the islands, Stornoway has a good selection of accommodation from which to choose, though you should book in advance in the peak summer season. The tourist information centre will do this for you, for a small fee. There are several centrally located hotels, the best of which is the Royal Hotel, Cromwell St, Tel. 702109, Fax. 702142. 24 rooms. Good value, and good food in its restaurant and bistro (see 'Eating' below). 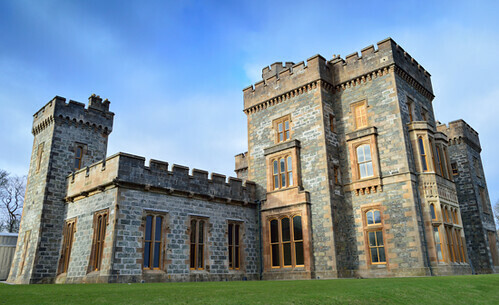 On the outskirts of town is B Cabarfeidh Hotel, Manor Park, Tel. 702604, Fax. 705572. 46 rooms. Not as convenient as the Royal but with the full range of facilities and a decent restaurant. B Park Guest House, 30 James St, Tel. 702485, Fax. 703482. 10 rooms. This Victorian townhouse is comfortable, only 500yd from the ferry terminal, and the best of the guesthouses. It also has an excellent restaurant which is recommended even if you're not staying. There are many B&Bs in and around the town centre, most of which offer a 'room only' rate for those requiring an early start to catch the first ferry. There are several along Matheson Rd, which is close to the town centre and the ferry terminal, including, E Mrs Anne Maclead, at No 12, Tel. 702673; and E (F room only) Mrs M MacMillan, 'Fernlea' No 9, Tel. 702125. Another option is F Fairhaven, 17 Keith St, Tel. 705862, which can also do meals. The basic F Stornoway Backpackers Hostel is at 47 Keith St, Tel. 703628. Includes breakfast, open all year. There's also a Bunkhouse Hostel at F Laxdale Holiday Park, on Laxdale Lane, about a mile out of town on the road to Barabhas, Tel. 703234. It has 16 beds, basic facilities and is open all year.